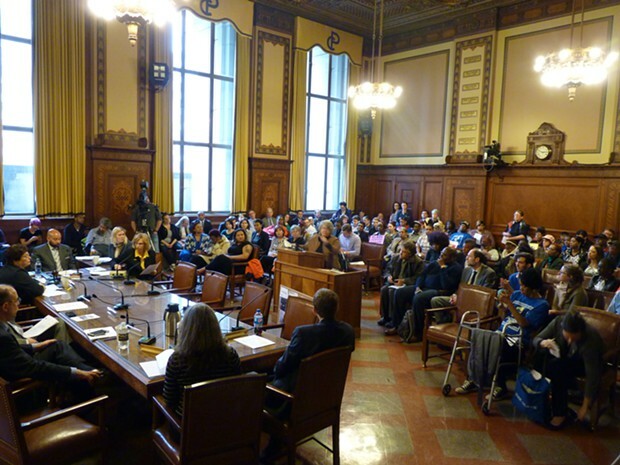 The Affordable Housing Task Force co-chaired by City Planning Director Ray Gastil and Councilman Daniel Lavelle has released draft recommendations to support housing opportunities throughout Pittsburgh. The initiatives come after months of work by the Task Force and citywide feedback sessions with residents, and will be considered by City Council and the Mayor. Today’s release of initial recommendations comes after a year of work by the Task Force and its committees, as well as five community forums in March and early April. The Task Force is poised to describe its work at a City Council Post-Agenda session on Thursday. Five community engagement sessions were held at the American Legion in Sheraden; the Knoxville Lifespan Resource Center in Knoxville; the National Association of Letter Carriers in California-Kirkbride; the Kingsley Association in Larimer; and the Hill House Association in the Hill District.